Do you have a lot of money, but stay up nights worrying it will disappear? After working with, and knowing personally so many affluent people over the years, I have come to recognize a common secret among this group — particularly women: Despite having far more money than the average person in their community, much less the world, they are terrified that it will all disappear. It is an unfortunate reality that in marriages, women often leave the financial management to their husbands. 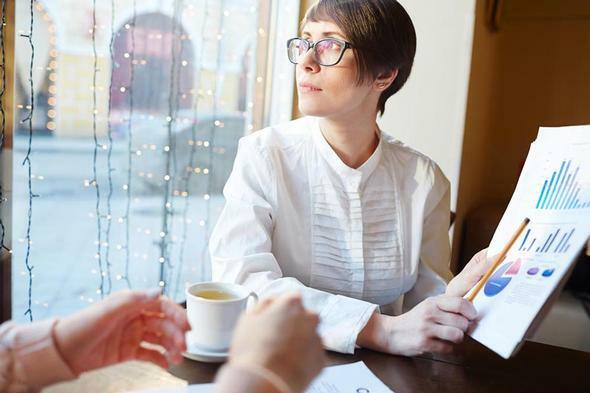 One recent Prudential survey found that just a quarter of married women took charge of their family’s financial planning. Can affluent moms give their children all the privileges of their money, without raising spoiled brats? Admit it: Sometimes it is tempting to toss money at a parenting challenge to make it go away. Sick of yelling at the kids to do chores? A cleaning service is not hard to find, and easily affordable. Tired of nagging your teen to earn her own spending money? It’s tempting to just hand over your credit card for school shopping. Can high-net-worth single women find love? Recently a client, Susan, sat in my office, bewildered. She’d been divorced for five years, and built an incredibly successful business, and loves the family she built with her two tween daughters. She’s upbeat, fun to be around, can talk about world affairs and sports — and happens to be stunningly beautiful. Are you a brilliant business woman — but not-so-smart with money? One of my passions is talking about business with other successful female entrepreneurs and executives. I love their creativity, passion and the hard work required to succeed in building a business from the ground-up, or running a corporation with vast responsibilities to employees, shareholders and customers. Being a female entrepreneur myself, I find I really connect with these women on many professional and personal levels.